Andrew Turf joined CBRE in 2016 as a Senior Vice President of High Street Retail Services. Andrew has an extensive 9 year plus career in commercial real estate that includes high street luxury retail tenant representation and landlord representation. Before joining CBRE, Andrew was Director of Leasing at Tribeca Holdings in the U.K & Ashkenazy Acquisition Corporation in NYC. In his position at Tribeca & Ashkenazy, he lead leasing initiatives at properties such as Old Spitalfields Market, a 19th Century structure with 165 market traders and 57 retailers in East London. He also worked on Fanueil Hall in Boston, MA, Union Station in Washington D.C., Bayside in Miami and properties on Michigan Ave. Chicago. Prior to his work with Tribeca Holdings & Ashkenazy Acquisition Corp., Andrew worked for the largest public R.E.I.T. in the U.K., Land Securities, across their $15B portfolio, including NOVA, Victoria and Trinity Leeds. Prior to that, Andrew began his career as a leasing and operations professional for Rick Caruso at Caruso Affiliated in Los Angeles. For the past few years, Andrew has brokered deals across Europe and U.S., by fostering a global platform. He has completed deals with Michelin starred restaurateurs, premier restaurant chains, independents, and international retailers. 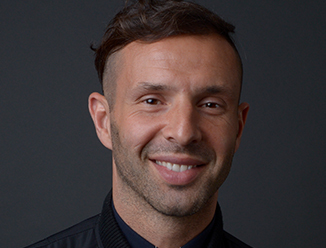 His work includes Rag & Bone, Alexander Wang, Bobbi Brown, Farfetch, Cutler & Gross, Linda Farrow, Soho House, Hotel Costes, JK Hotels, Neuehouse, Alexander McQueen, Belstaff, Jo Malone, Crate & Barrel, CB2, Saturdays Surf, Mango, H&M, & Other Stories, Suit Supply, etc. and with restaurant luminaires such as Nuno Mendes (of the Chiltern Firehouse), Boka Group, Jason Atherton, Alan Yau, David Munoz, Jamie Oliver, Gordon Ramsay, etc. Andrew’s global relationships and work can be seen from London to Seoul to Los Angeles. Recent noteworthy transactions include the first luxury retail deal in East London (Alexander McQueen), Rag & Bone, and a global Mango flagship in Victoria, London. In addition to leasing, Andrew led a curated 165 person market hall, a website redesign for Old Spitalfields Market, social media and marketing campaigns, a $3B mixed-used development in Victoria, and helped design and lease a 20,000 SF food hall in Trinity Leeds.